Ouganda - ★FISH: UGANDA ★ 200 SHILLINGS 1998! MINT LUSTER! LOW START ★ NO RESERVE! 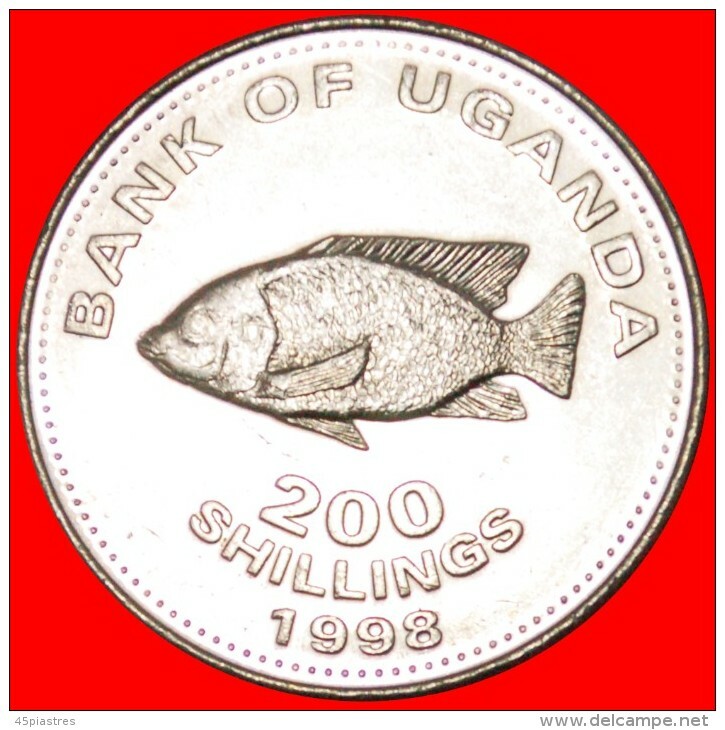 ★FISH: UGANDA ★ 200 SHILLINGS 1998! MINT LUSTER! Interesting type with Cichlid fish in attractive condition. ★SUN & BULL: UGANDA★ 100 SHILLINGS 1998! MINT LUSTER! LOW START★ NO RESERVE! § GREAT BRITAIN: UGANDA ★ 1 SHILLING 1987 MINT LUSTER! LOW START ★ NO RESERVE! § TUSKS: UGANDA ★ 5 CENTS 1966! LOW START ★ NO RESERVE! 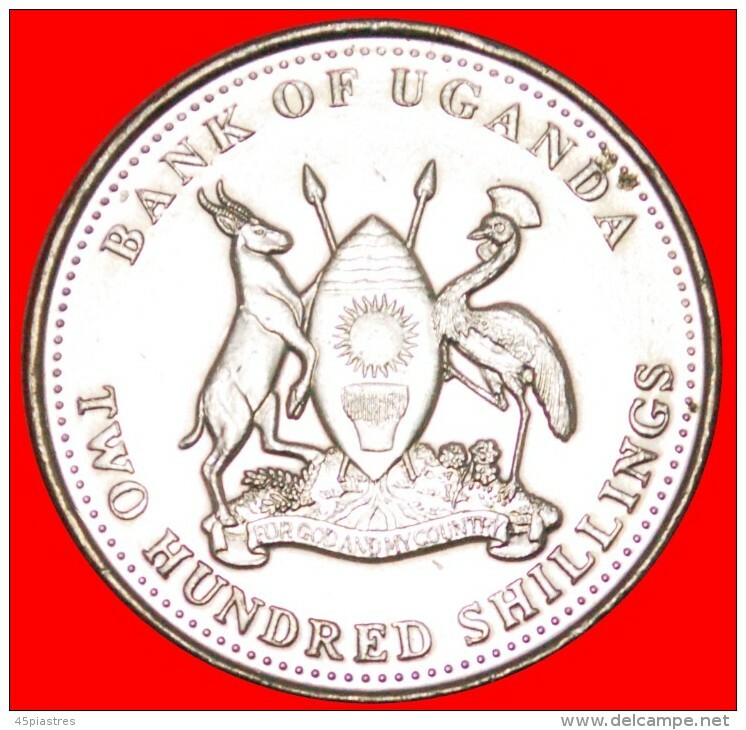 ★CRANE: UGANDA ★1 SHILLING 1966! UNCOMMON! LOW START ★ NO RESERVE! § CRANE: UGANDA ★ 500 SHILLINGS 2008 MINT LUSTER! LOW START ★ NO RESERVE!